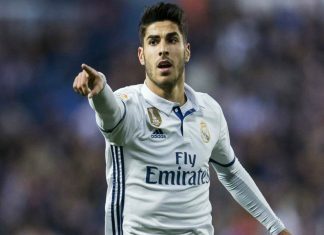 Spain coach Julen Lopetegui has included Real Madrid youngster Marco Asensio in his 25-man squad for the forthcoming international matches, which are a friendly against Colombia and a potentially tricky World Cup qualifying tie away to Macedonia. 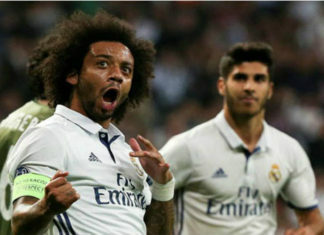 Real Madrid booked a place in the Champions League against Juventus final on Wednesday night following a tense Champions League semi-final. 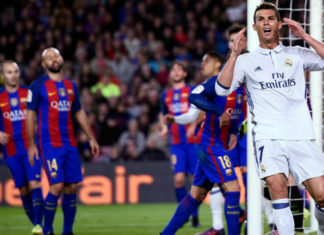 Cristiano Ronaldo has threatened to QUIT Real Madrid over their transfer policy, according to reports in Spain. 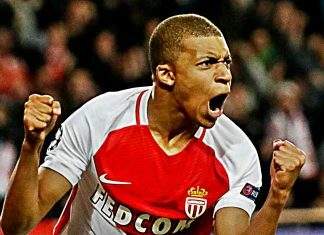 Monaco forward Kylian Mbappe has failed to shut down rumours linking him with a move to Real Madrid, insisting "anything is possible". 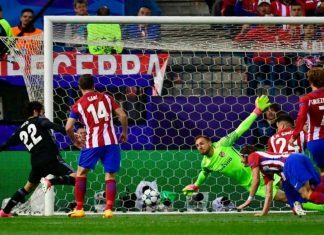 Sergio Ramos said the gates of Real Madrid are always open for Kylian Mbappe as the French star continues to impress. 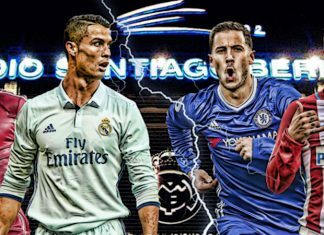 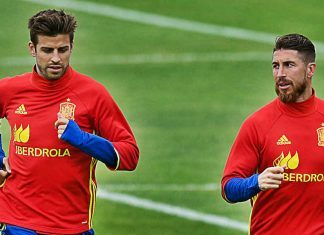 According to Chelsea striker Diego Costa, there are two rival players who are actually best friends, Gerard Pique and Sergio Ramos. 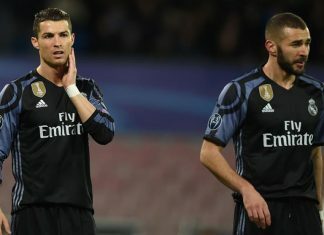 Cristiano Ronaldo made it perfectly clear what he thought of Real Madrid's first-half performance at Napoli. 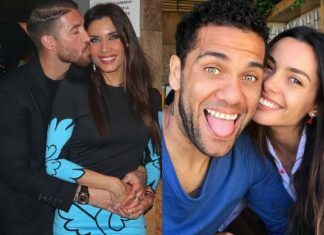 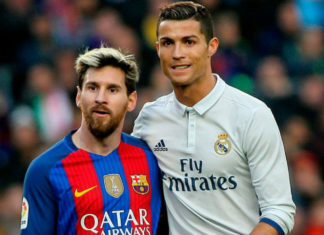 Sergio Ramos said he was obviously happy to see bitter rivals Barcelona lose in the Champions League as he basked in Real Madrid's success. 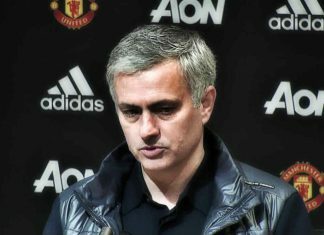 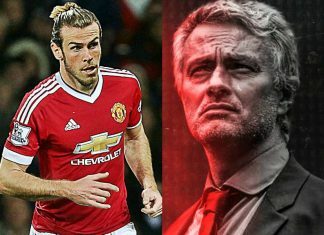 Manchester United boss Jose Mourinho has stressed that the club will not drag into impossible deals this summer. 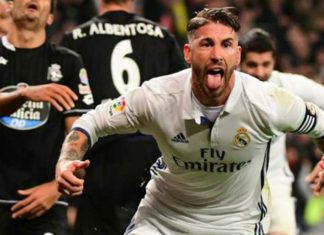 Real Madrid won their La Liga tie on Saturday but they were still booed by their own fans, much to the annoyance of Sergio Ramos. 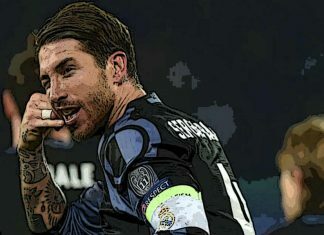 Real Madrid captain Sergio Ramos has made a name for himself as one of world's best defenders, watch his best of 2016/17. 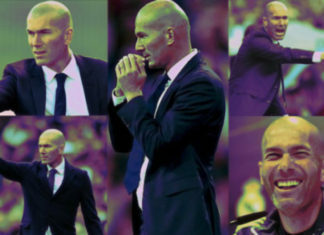 Zinedine Zidane was able to celebrate a year as coach at Real Madrid with a 3-0 win at home to Sevilla. 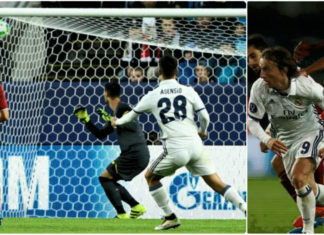 Real Madrid and Sevilla play one of the most interesting ties in the last 16 of the King's Cup knockout competition. 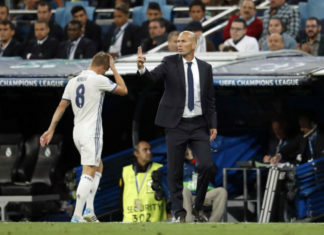 Zinedine Zidane said that he would like central defender Pepe to sign a new contract with the club so he could continue playing. 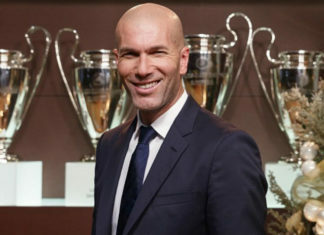 Real Madrid boss Zinedine Zidane has hinted to have found a permanent replacement for China bound centre back Pepe. 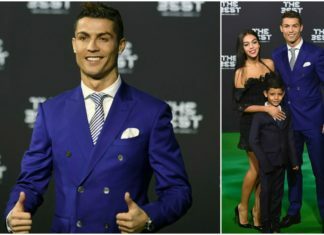 Cristiano Ronaldo is furious with his sister Katia after reports suggest that the Portuguese found out what she was upto. 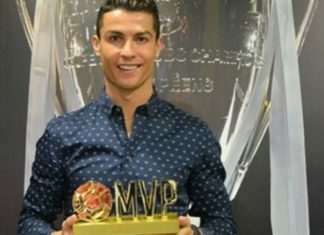 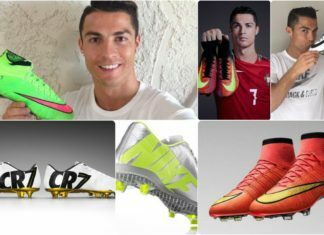 Nike's global vice president for football footwear, Max Blau, has revealed the secret behind designing Cristiano Ronaldo's boots. 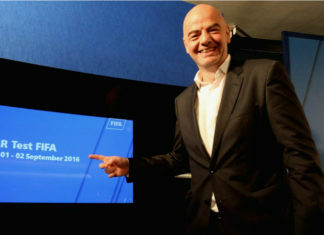 FIFA president Gianni Infantino said that the result of Video Assistant Referees that was tested in Club World Cup was "extremely positive." 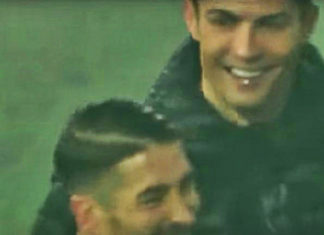 Match footage from Club World Cup final shows that Cristiano Ronaldo had a laugh with Sergio Ramos following referee's change in decision. 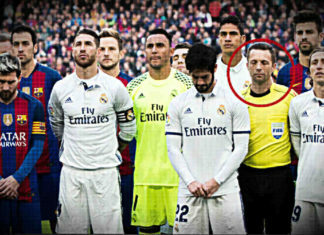 The assistant referee who was on duty during the high-octane El Clasico clash last week has been now handed a two-week ban. 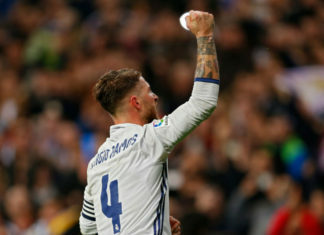 Deportivo boss Garitamo was left fuming after the fourth official added five minutes of injury time to let Ramos score Real Madrid's winner. 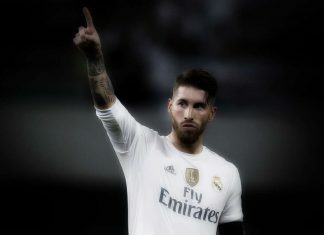 Sergio Ramos scored his second injury time goal in a week to save Real Madrid from embarrassment and keep them six points clear at the top. 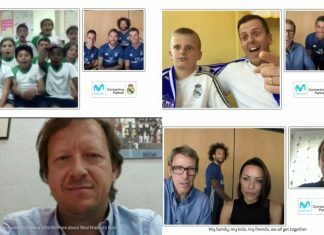 Marcelo celebrated the 10th anniversary of his arrival at the club with an interview on the official Real Madrid website on Wednesday. 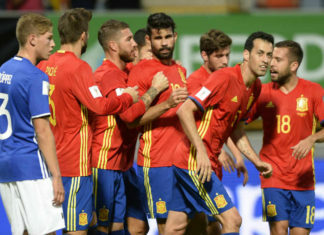 Spain will take on England in a friendly game at Wembley on Tuesday night which should see Julen Lopetegui make several changes. 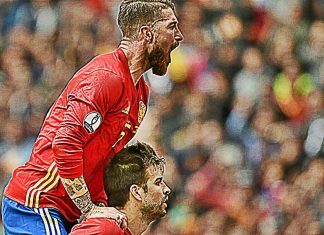 Sergio Ramos' only contribution to Spain in a World Cup qualifier this weekend will be a pep talk to his teammates. 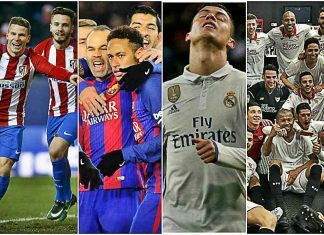 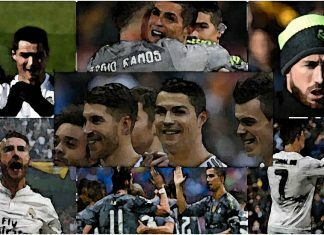 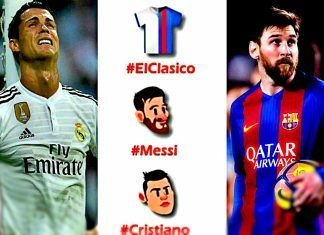 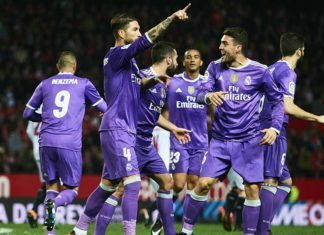 Real's hopes of setting a new La Liga record of 17 consecutive wins were dashed on Wednesday as they were held to a 1-1 draw by Villarreal. 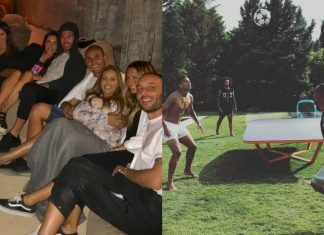 Real Madrid superstar was quick to join the celebrations after his team-mates lifted the UEFA Super Cup against Sevilla. 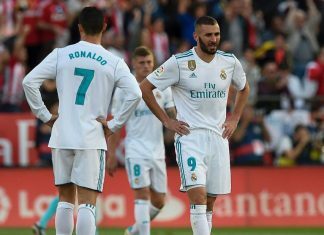 Dani Carvajal scored a 119th minute winner to give Real Madrid their first title of the season as they defeated Sevilla 3-2 in the final of the UEFA Super Cup.